It was a beginning, says Uscinski, “driving the boat, working the crab pots, packing the crabs and getting them ready for sale.” Uscinski’s cousin eventually made crabbing a profession, but the 58-year-old Yale University facilities manager from Clinton, Connecticut, went a different way. However, he still has a love for boats and boating, born of crabbing on the river years ago. The first boat of his own was a 28-foot Celebrity, followed by a 24-foot Sportcraft, an inboard-powered open boat he used for fishing. 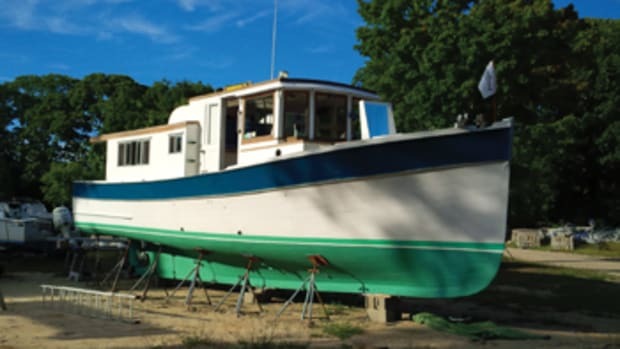 Along the way, he found he’d kept his penchant for working on boats, doing the maintenance and the myriad chores that keep a boat running — a trait he passed on to his family. Uscinski’s life in boats might have ended there in 2010. 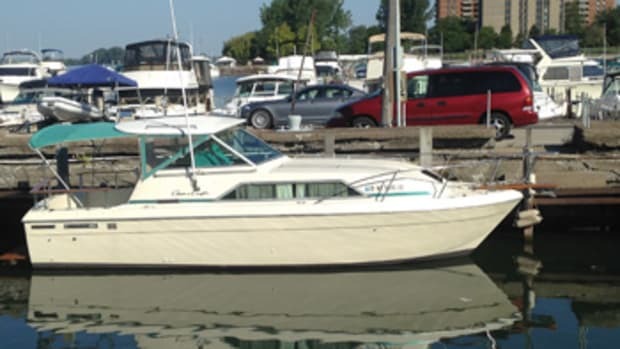 An illness caused him to consider getting rid of the Sportcraft and getting out of boating. “My wife, Kathy, said, ‘It’s something you enjoy — why don’t you get something bigger, something that we can go places on?’ ” he says. 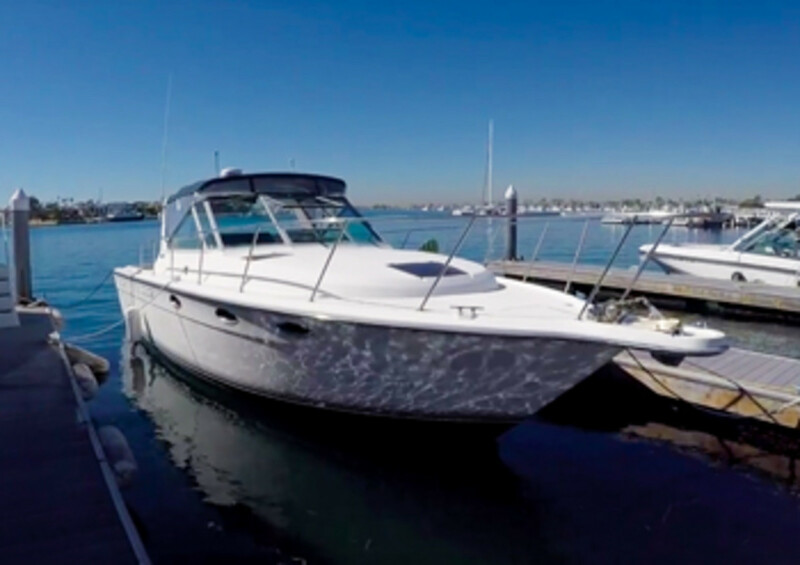 Less than a year later, they owned a 1996 Tiara 3100 Open, a family cruiser with comfortable accommodations, a 20-mph speed and wide-ranging cruising capabilities. 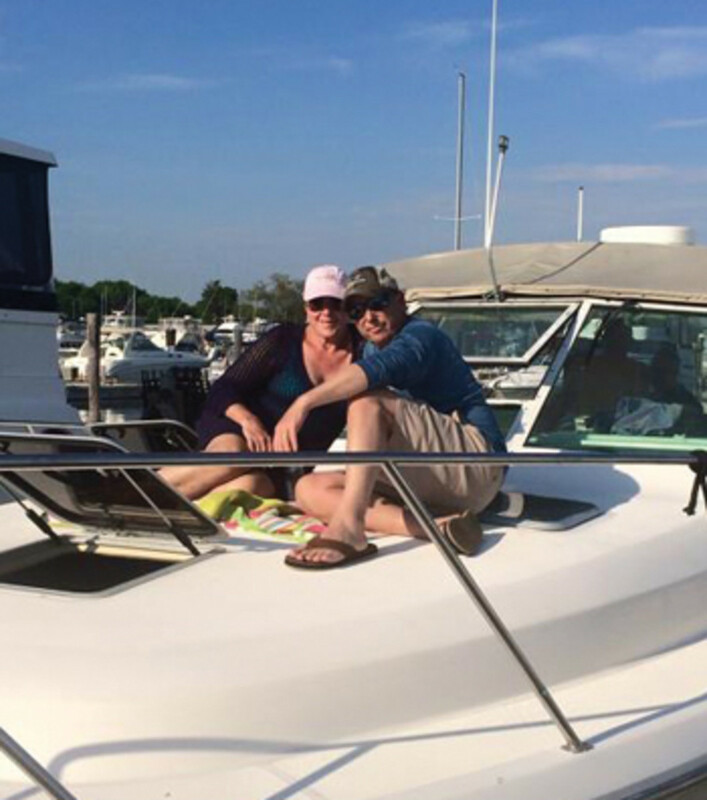 The couple fished and cruised for a summer, enjoying the greater range and added comforts of the 31-foot cabin boat, compared to the 24-footer. “We had more range in going places, and it was easy to stay on board a night or two,” Uscinski says. Power comes from a pair of Crusader 454s — V-8 gasoline power plants that drive the 12,300-pound boat at a 20- to 25-mph cruising speed. “They’re reliable engines that have held up really well,” Uscinski says. Arriving at Block Island, they learned that theirs was the only boat to come in that day. “We were running 18 to 20 knots, and we were not getting hammered around,” Uscinski says. 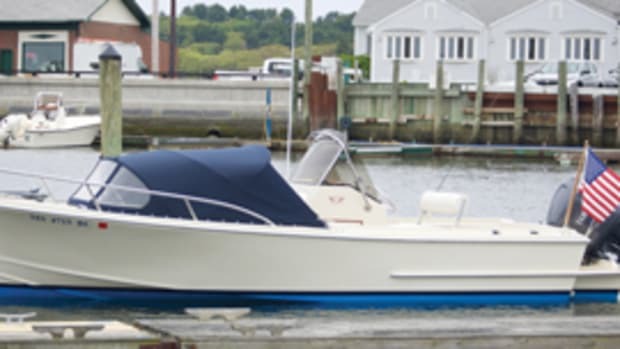 Tiara’s original 3100 Open was introduced in the late 1970s, and its popularity as a family cruising boat led to a redesign and reintroduction in the early 1990s. The new 3100 Open had added bow flare and a sharpened entry for a smoother ride. Transom deadrise was increased 4 degrees to make an 18-degree modified-vee shape, and prop pockets were used to improve engine efficiency and reduce draft. A bridge deck allowed for the installation of larger engines. Cabin accommodations included a U-shaped dinette with a table that converts to a bunk. The galley was to port, with a two-burner stovetop, under-counter appliances and a microwave. The enclosed head came with a sink and shower. A master stateroom was forward, with a double berth, shelf space and a hanging locker. The helm station and twin seats were set to starboard, and the bridge deck’s location afforded good visibility. 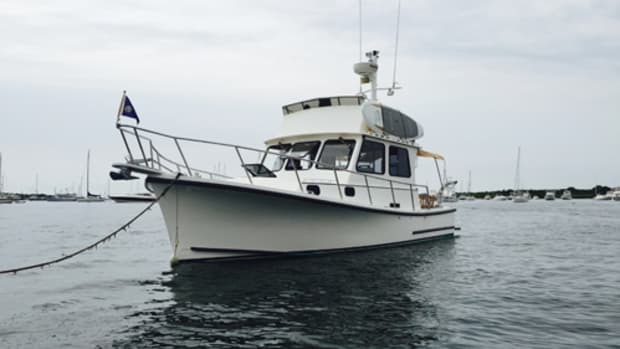 A hardtop, swept-back windscreen and side curtains protected the bridge and companionway. 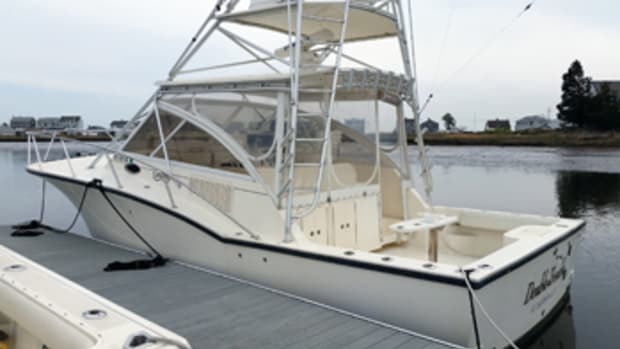 The open cockpit (with a transom door) could be set up for fishing with a live well, in-deck fishbox and tackle center. 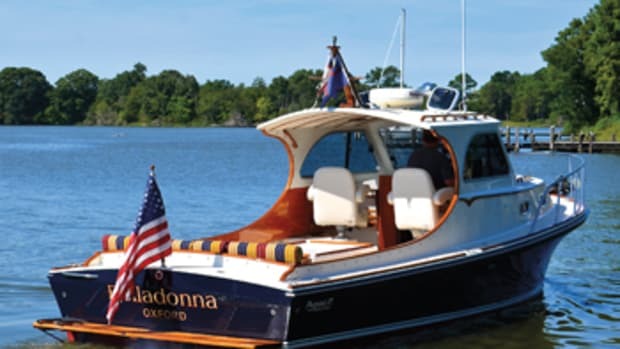 The redesigned Tiara 3100 Open was dubbed a “no-glitz express with top-quality systems.” The boat’s production run was from 1992 to 2004, long by industry standards, making it one of the Holland, Michigan, builder’s more popular models. 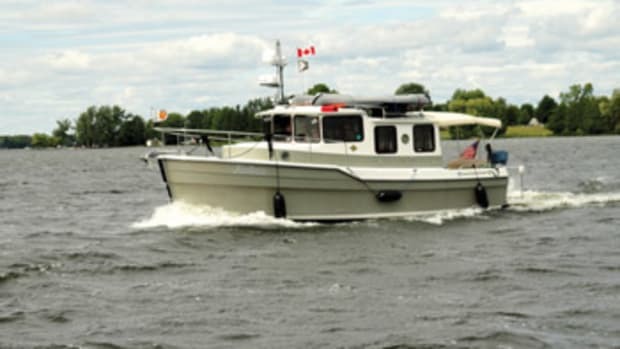 Its successor is the 31 Tiara, a modern, family-oriented day-tripper with twin gas or diesel engines. 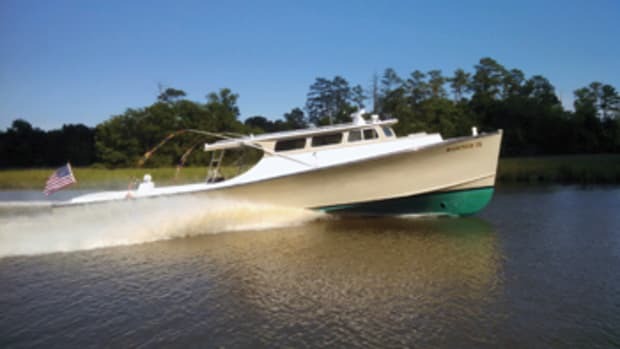 Tiara offers a dozen models from 31 to 53 feet.